Crawl space water damage is common, so you should check it out every few months, and act quickly if you notice something is amiss. What should you be looking for, and how do you deal with crawl space water damage if you find it? Let us explain. If you open up your crawl space and find standing water, your first thought will probably be to wonder where it all came from. It’s even more puzzling if you see the signs of water damage on the door leading to the crawl space, but don’t find anything inside. What’s going on? 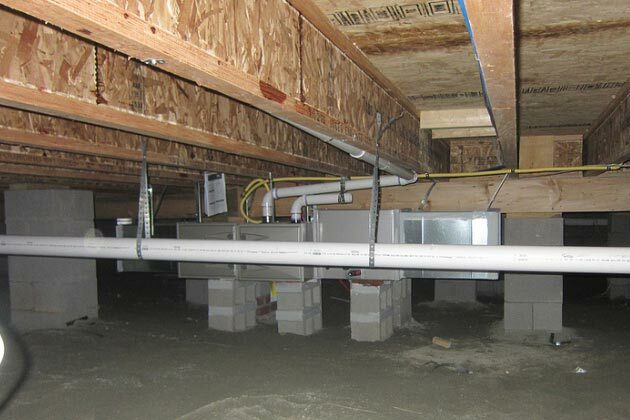 To understand, you need to know the possible sources of crawl space water damage. Some homes, especially older homes with broken window seals, have humidity problems. The crawl space can exasperate this problem, especially if it is unsealed, or just dirt on the ground. If so water will evaporate out of the ground and into the crawl space. This can cause all sorts of problems, from mold growth to poor air quality in your home, to water damage. You may find the entire crawl space covered in a thin sheen of water. Likely, that water is always there, consistently doing damage to your home. If you walk into the crawl space and find a puddle of water, chances are you have a leaking or burst pipe. 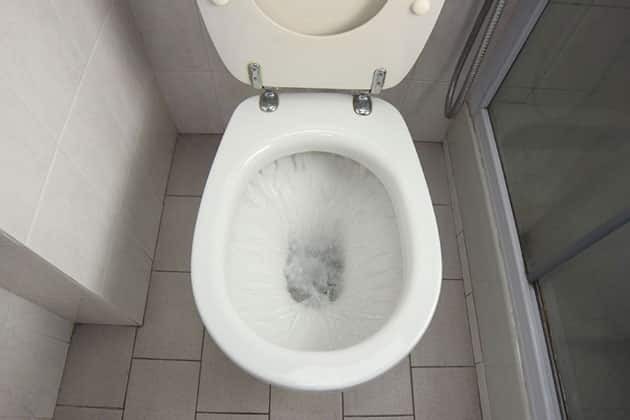 Different kinds of water may be leaking out, including fresh water on it’s way up to the tap, or used water on its way down from your toilet. The smell should indicate sewer water. A musty smell, like clothing left in the drier, is probably from clean water that has just been sitting in the crawl space for some time. It’s fairly unlikely that a problem all the way up on your roof could make it’s way down to the crawl space at the bottom of the home before you notice it. But, some homes have crawl spaces directly attached to the roof. In that case, you may find that the ceiling and walls on your crawl space (or just the wooden joists that make up the ceiling) have water damage. Or, if a leak is being redirected inside the attic to the inside of a wall, it can then pour down into the crawl space. You may hear the sound of moving water if this has happened and you’ll also see signs of water damage. Unfortunately, this is likely to be a pretty serious problem. You’ll have to call a professional roofer to locate where the leak is and get it patched up, before addressing crawl space water damage. You took a look into your crawl space and found it soaked or way too humid. How do you remove that water and dry out a flooded crawl space? You can call our team of professional home restoration experts to fix the issue. This is probably the wisest course of action, as a wet foundation, damaged drywall, or sewage leaks can cause serious damage to your home. They may also create health hazards including mold, if they are not dealt with properly in the first 24-48 hours. 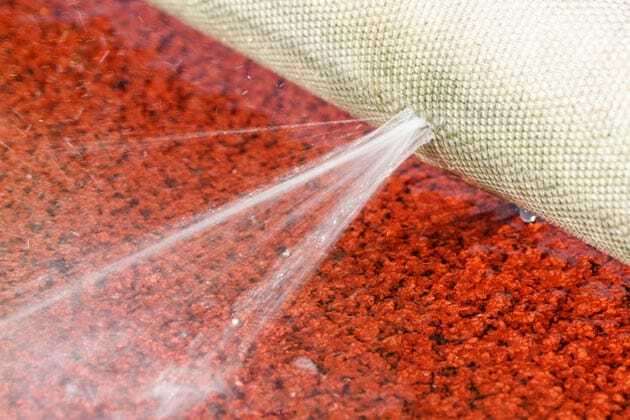 However, there are things you can do yourself to dry things out and prevent further crawl space water damage until the professionals arrive. The only exception is if you have a sewage pipe leak. Water from this kind of leak is dangerous, especially if it comes into contact with your bare skin. Further, anything you use to try to absorb the water will have to be discarded. It’s important to wait for your plumber to tackle a sewer leak. Otherwise, if you have an inch or more of flood water on your hands, it’s best to get a wet vacuum or pump to start removing what water you can. Don’t dispose of this water back into a bathtub or sink unless you’re sure a leak isn’t the problem. If it is, the water may end up right back in the crawl space. If you have only puddles, you can use your least favorite towels to soak up the water. They may need to be boiled or otherwise sanitized afterwards. Wear gloves when you do, because you don’t know how long the water may have been sitting in your crawl space and breeding bacteria. To remove the moisture from the air, you can run your home’s dehumidifier in the crawl space—if it fits in. 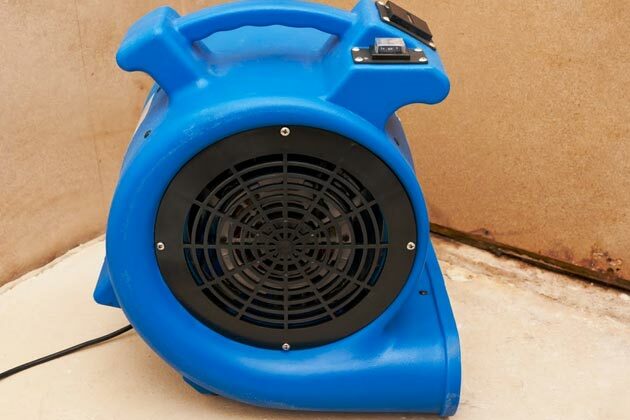 If humidity is an on-going problem in your crawl space and not just the result of a temporary flood, you may save yourself some future headaches by installing a dedicated crawl space dehumidifier. It may take a lot of specialized knowledge to clean up after crawlspace damage. Which materials can be salvaged and which need to be thrown out? How do you repair flooring and install new drywall? 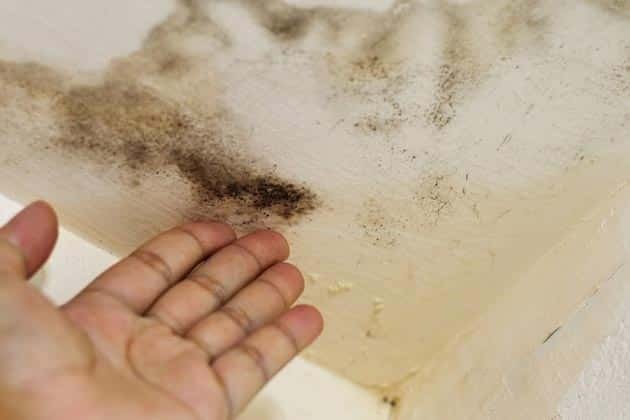 How can you be sure that you’re not exposing yourself to toxic mold spores? You may find it easier to call the professionals at TSC restoration rather than solve all of these problems on your own. Our expert team will salvage whatever is safe to keep and replace anything that could be a safety hazard. We also collect information for your insurance company and have the experience to ensure you have what you need to get maximum coverage allowed under your policy. If you have crawl space water damage, you don’t need to deal with it alone. Call the experts at TSC restoration, and we can ensure you’re making the right long-term decisions to repair your home. We can even install leak detectors that can keep this often forgotten area of your home under control. Learn more about our water damage restoration services or call today to get started. HVAC crawl space by Jesus Rodriguez on Flickr. 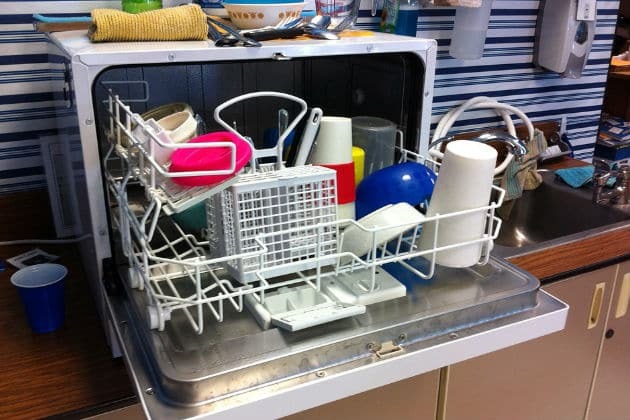 What to Do if Your Toilet Causes Water Damage Water Damage from Dishwashers: Causes & Solutions How Much Does Water Damage Restoration Cost?